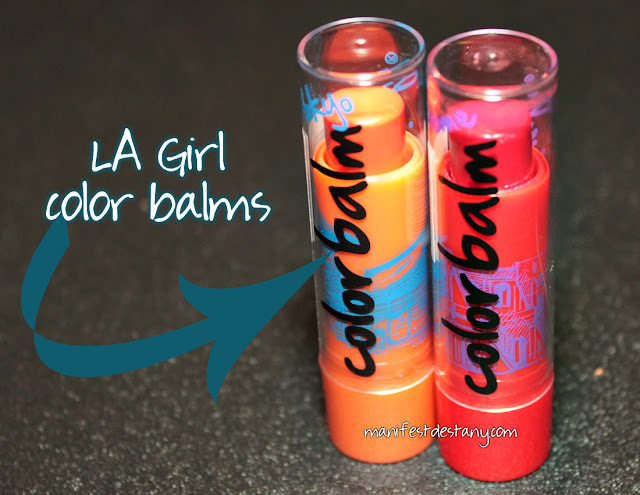 Let me start by saying...I was not impressed with the LA Girl Color Balm Lip Balms at all. Well, I take that back. I love the color and tint. But otherwise, they left me lacking. I found them at a local Rite Aid, and picked up two of them. I grabbed Tokyo (an orange) and Rome (a red). 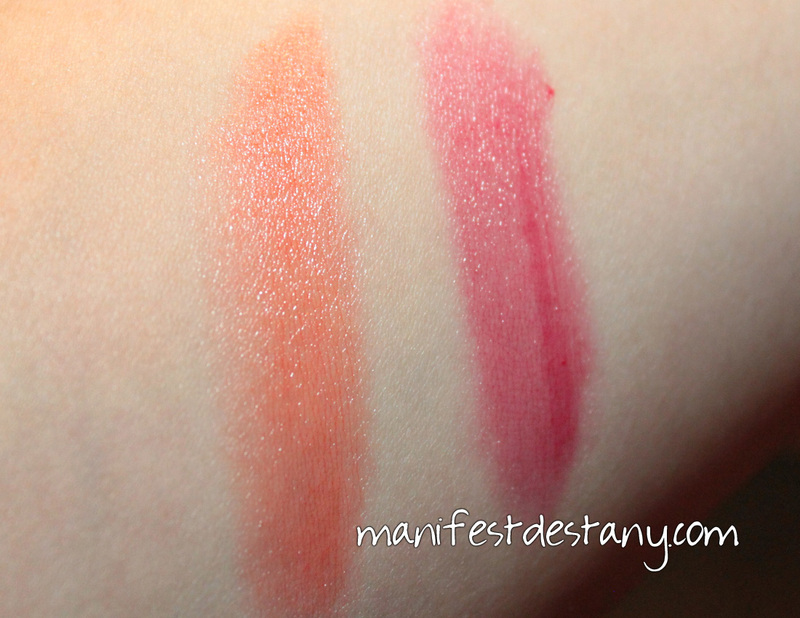 They look super pigmented with color, and that didn't disappoint! 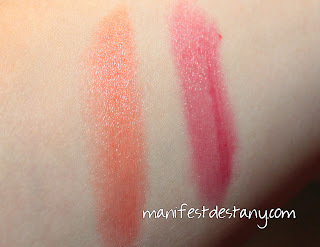 They are just as pigmented as any tinted lip balm or gloss I've used. I did have issues with my tube of Rome. The balm was slightly bent, so it scraped down the side of the tube, causing nicks and scrapes out of the side of the balm. My issue with these? Application, scent and taste. I guess I'm so spoiled with my Jordana Sweet 'n Smooth balms. These LA Girl balms have a vaguely plastic-like taste, and they smell just as bad. 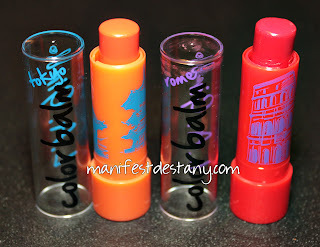 They would be good as a base for other lipsticks or glosses, tho, as long as the smell and taste can be covered up. As for application, they were sort of hard...I'm trying to find a way to explain it. The application wasn't smooth. It was rough. Best way to word it. It didn't glide along my lips...it skipped across them. Rome isn't so red on the lips, it's more pink. And here's Tokyo. I really like this color of orangey coral. So have you guys picked any of these up? What do you think? They are not available for online purchase, but as I mentioned, I snagged mine at Rite Aid.